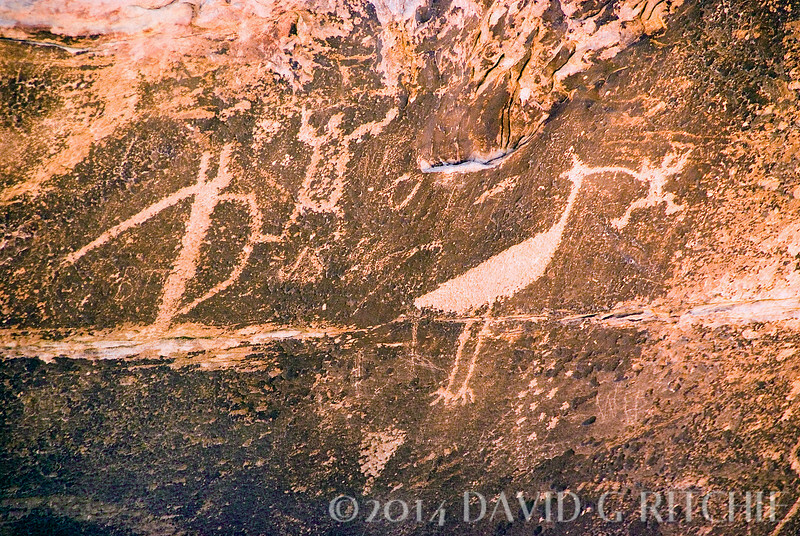 Rock art representation of wildlife sightings in earlier times. Some have suggested that the bird is an avocet holding either a frog or a man. If the artist was depicting a man, was he also showing his sense of humor, and if so, was this actually one of the first cartoons? Located in Petrified Forest National Park, Arizona.